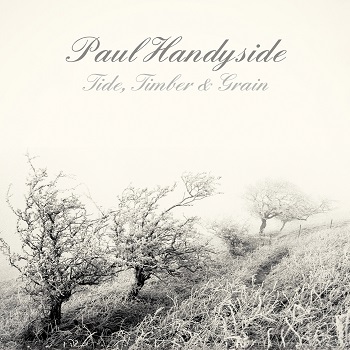 Paul Handyside’s been around for a while; thirty years, give or take, and producing work that’s almost impossible to pigeonhole; maybe ‘quality songs, beautifully delivered’ would work. This is a long way from the jangle-pop of his eighties band Hurrah!, displaying the maturity that comes from surviving the pop business and going on to create the music you want to make. Music with a more subdued palette but much more room for subtlety and finesse and a rich vein of melancholy. The album’s first song, “Flowers Won’t Bloom”, contains the line ‘the things that we planted are waiting to die’, it’s infinitely sadder than dead plants, and sets the tone for a lot of the album. The album runs through a range of styles; all ten songs are Paul Handyside originals, although most of them could have been plucked from another era. “True Love” and “Goodnight Lover” have a strong late fifties/early sixties resonance evoking Buddy Holly and the Everly Brothers in their simplicity and purity, while the apocalyptic “All Will be Revealed” could be a late sixties protest song. “Desperate Days” taps into the melancholy singer-songwriter vein as does “Let Me down Easy” with vocals at the baritone end of his range, delicate electric guitar figures and subtle harmonies which build up as the song progresses. “Fond Farewell, and “Should I Leave your Side” are both in the English folk tradition with picked guitar and Paul’s north-eastern accent breaking through, but it’s another two songs that really shine in this idiom. “Woodcutter’s Son”, with its a cappella intro, lovely harmonies and spurned childhood sweetheart theme is the first. The second is the sprawling “A Whaler’s Lament”, an epic, many-versed folk ballad telling the story of a young man between the years of 1905 and 1915 as he moves from whaling to mining and finally (very finally) to the wartime merchant marine. It’s a flawless piece of folk narrative. 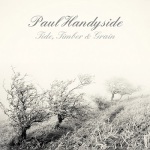 With the assistance of Rob Tickell (guitars and percussion) and David Porthouse (double bass and melodeon), Paul Handyside has produced a hauntingly melancholy album using a variety of (mainly) traditional instruments to provide a framework for his marvellous voice; it’s a powerful combination. “Tide, Timber and Grain” is released on Friday April 1st on Malady Music (MALCD005).